Well manicured nails say a lot about a person. It’s the best accessory one can flaunt. You may try and deny it, but the moment you see a pair of filthy, unkempt-looking nails, you aren’t exactly going to jump at the opportunity of signing a partnership with this person! So, having perfectly manicured nails is your new beauty goal. 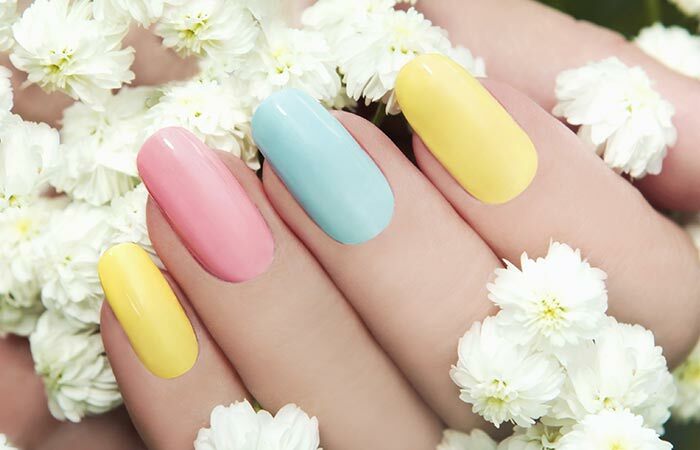 However, the variety of nail shapes that you can opt for may plague you. Square? Oval? Squoval? To the uninformed, it could be very confusing, but worry not! We have got you covered. Here’s a complete rundown on the various nail shapes. Let’s check them out, shall we? What If I Can’t Grow My Nails Out? Acrylic Nails: When you have very brittle nails, and you want to go for various nail shape options, it’s best that you go for acrylic nails. They are quite sturdy, and the chances of them breaking are very less. Gel Nail Polish: I personally love getting gel nails. Firstly, it lasts SO much longer than just regular nail polish, and the shine of the nail polish that everyone loves stays the whole time! Another huge advantage for all my fellow weak-nailed women is it makes your nails so much stronger by adding an extra layer. Do not peel them off, no matter what! Soak them in acetone and remove them accordingly. You can find a detailed step-by-step tutorial on how to remove them here. Cuticle Nail Oil: A lot of people tend to ignore using this but it helps to make the nails grow out stronger and keeps them healthy. Make it a practice to apply it every night before going to bed. 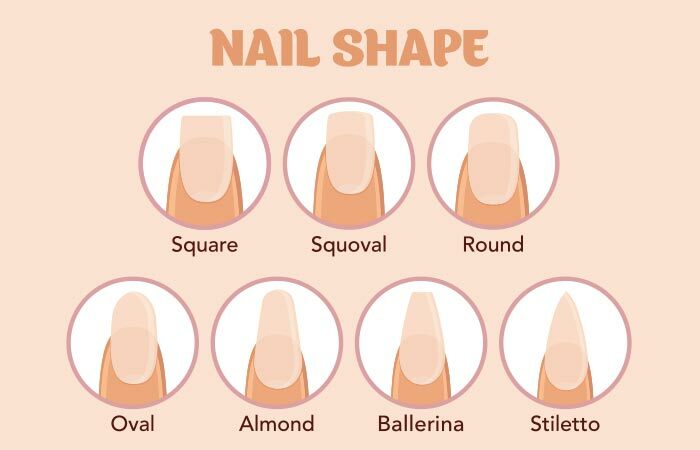 Let’s take a look at the various nail shapes so that you can figure out which one tickles your fancy! This is probably the easiest shape to maintain. If you want something low maintenance but still want your nails to look good, this is probably the shape for you. This is also very easy to do. Just shape them square initially, and then follow the natural curve of your finger tips. This is the best look for those who find it difficult to grow out nails. Best Suited For: All types of fingers. This is considered to be a more traditional shape. It was extremely popular in the late 1900s and early 2000s. 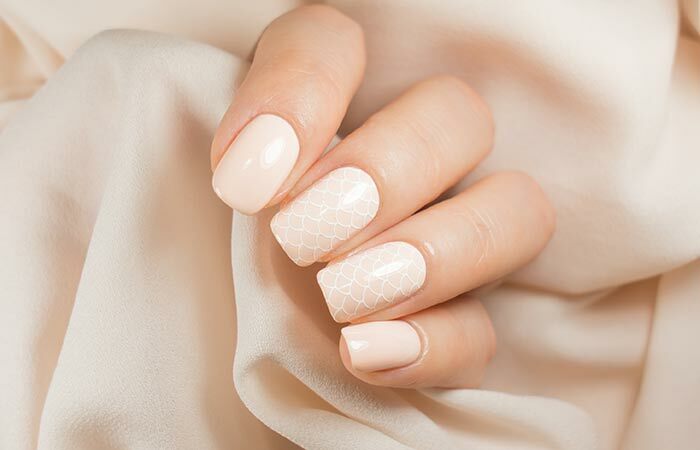 This nail shape gives your nails a very elegant appearance. 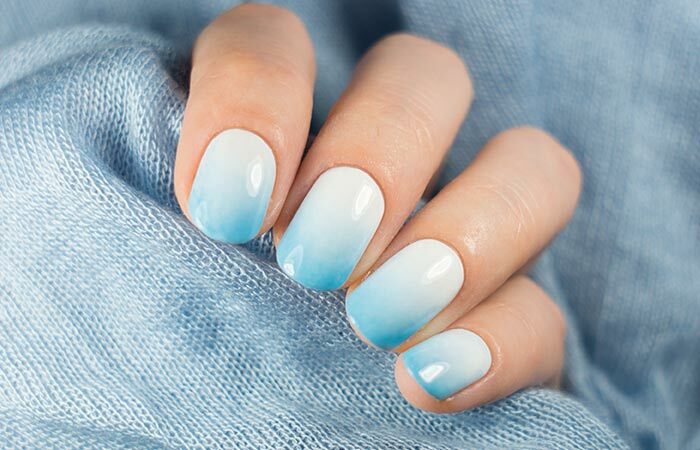 To achieve this nail shape, file around the sides in order to get an egg-like shape. It is great for those with short fingers as it makes the fingers look longer. Best Suited For: Short fingers. 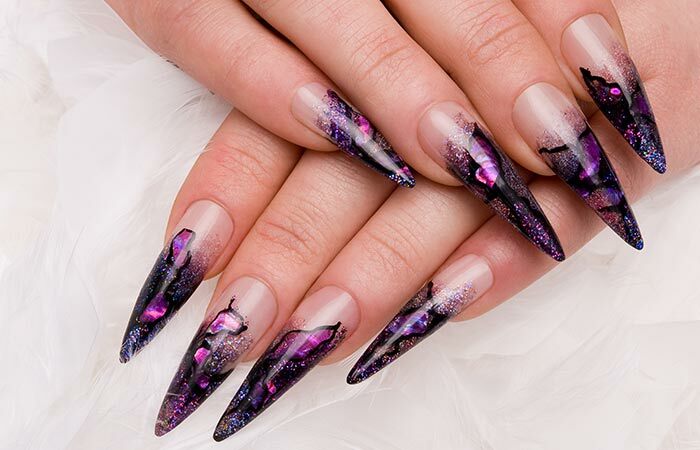 These nails are squarely shaped at the tips. This is probably one of the most popular nail shapes. It’s a good choice as far as nail shapes go as the risk of it breaking is less since it follows the natural width of your nails. To get these nails, trim them, and using a nail filer, shape them straight across. Clean up the edges in case of any roughness. Best Suited For: Long fingers with wide nail beds. A variation of the square and oval, the squoval or the soft square, is another popular choice in the world of nail shapes. While it is easier to manage because of its rounded edges, the classiness of the square shape still remains as is. 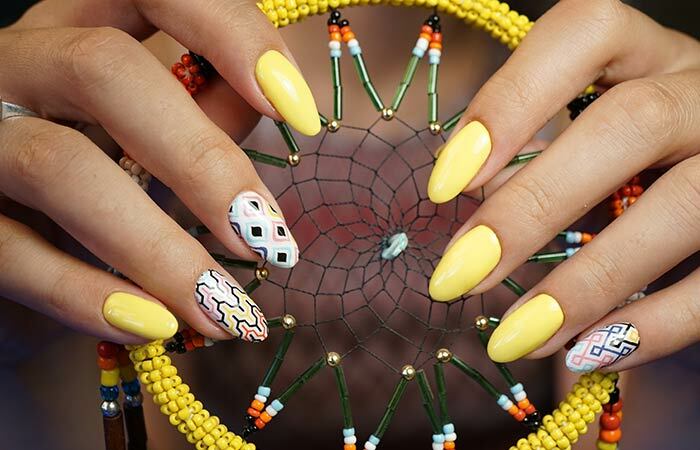 For these nails, shape your nails in an oval as you normally would, and then shape it across the tip to square it out a little. Best Suited For: Any type of fingers. This one is much like the oval shape, except that it’s a little more pointed at the top. It is wide at the base and slender along the sides. Come to think of it, it takes the appearance of an actual almond. To achieve this, find the center spot at the tip of the nail and shape both sides so that it makes a peak at the center point. Then, smoothen it out, so that there aren’t any sharp edges. You need some guts to pull this one off. It’s not very common, but celebrities like Rihanna go for this look all the time. This nail shape gives your nails the appearance of being long and slender. Same as in the case of almond nails, find a center point and start filing from each side to meet the point. This nail shape may cause the nails to break off easily so it’s best to use acrylic or gel nails for this one. This is a more subtle version of the stiletto nail shape. It follows the same shaping technique. Find a center point and file the nails along the sides to that point. After that, square out the tips. Doesn’t it look like a like a ballerina slipper? This one is a good choice if you want to go for something bold, but still keep it comfortable. 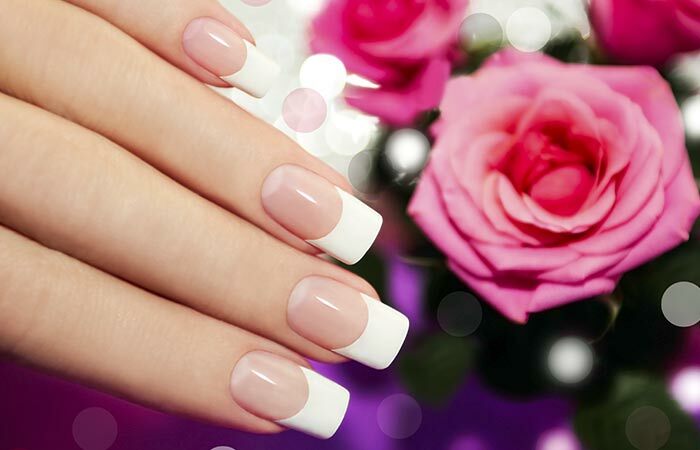 Due to how long the nails have to be for this type of nail shape, it is recommended that you use acrylic or gel nails. This is a favorite of Kylie Jenner. Now that you’ve this at the back of your hand (or should I say fingers), you’ll know what exactly to ask for when you got to the nail salon. You can even try some of these at home. Almost everything apart from the stiletto and the ballerina can be shaped by yourself. Shaping them makes all the difference, even when no polish is applied. It looks refined, and you come off as someone who has got your life together. So, try it out!